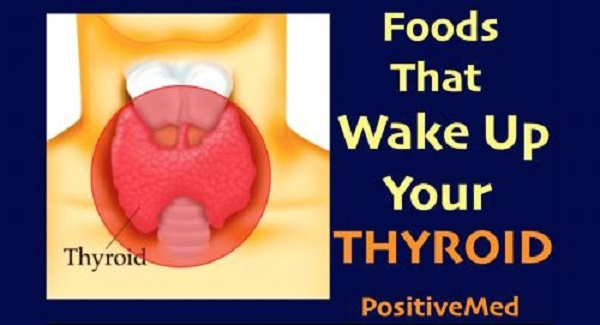 Hypothyroidism simply put means that the thyroid is underactive. Your thyroid gland is not producing enough of certain important hormones upsetting the normal balance of chemical reactions in your body. This can cause a number of health problems such as obesity, joint pain, infertility and heart disease. There can be a number of causes, including autoimmune disease, treatment for hyperthyroidism, radiation therapy, thyroid surgery and certain medications. 1- Greatly reduce or eliminate caffeine and sugar, including refined carbohydrates like flour, which the body treats like sugar. 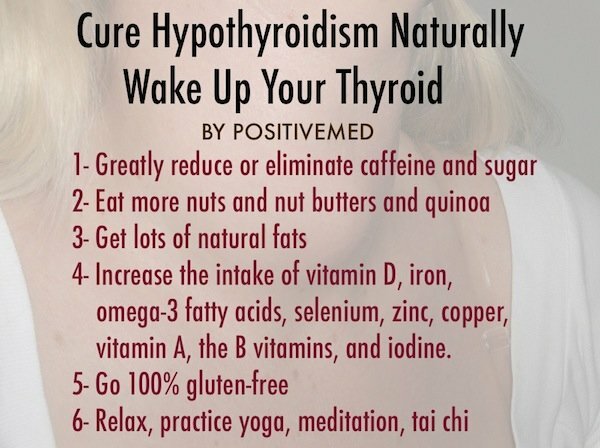 2- Eat more nuts and nut butters and quinoa, which are packed with proteins, which transports thyroid hormone to all your tissues and enjoying it at each meal can help normalize thyroid function and resume hypothyroidism symptoms. 3- If you’re getting insufficient fat and cholesterol, you could be exacerbating hormonal imbalance, which includes thyroid hormones. Get lots of natural fats in olive oil, butter or ghee, avocados, flax seeds, and others. 4- Increase the intake of vitamin D, iron, omega-3 fatty acids, selenium, zinc, copper, vitamin A, the B vitamins, and iodine. 6- Finally, relax, practice yoga, meditation, tai chi, any one you like or all, the thyroid is a very sensitive gland and is exceptionally reactive to the stress response.